This splendid brooch was made and worn in England, at the same period when the brooch on the ext page was worn in Ireland. It is made from hammered sheet silver inlaid with niello and decorated with the earliest known representation of the Five Senses. In the centre is Sight, which during the medieval period was considered the most important of the senses. Surrounding Sight are: Taste, with a hand in his mouth; Smell, standing between two tall plants; Touch, rubbing his hands together; and Hearing, with his hand to his ear. At one time this brooch was thought to be a forgery, but it was later re-examined and confirmed as genuine due to its niello inlay, which is of a type only used during the early medieval period. 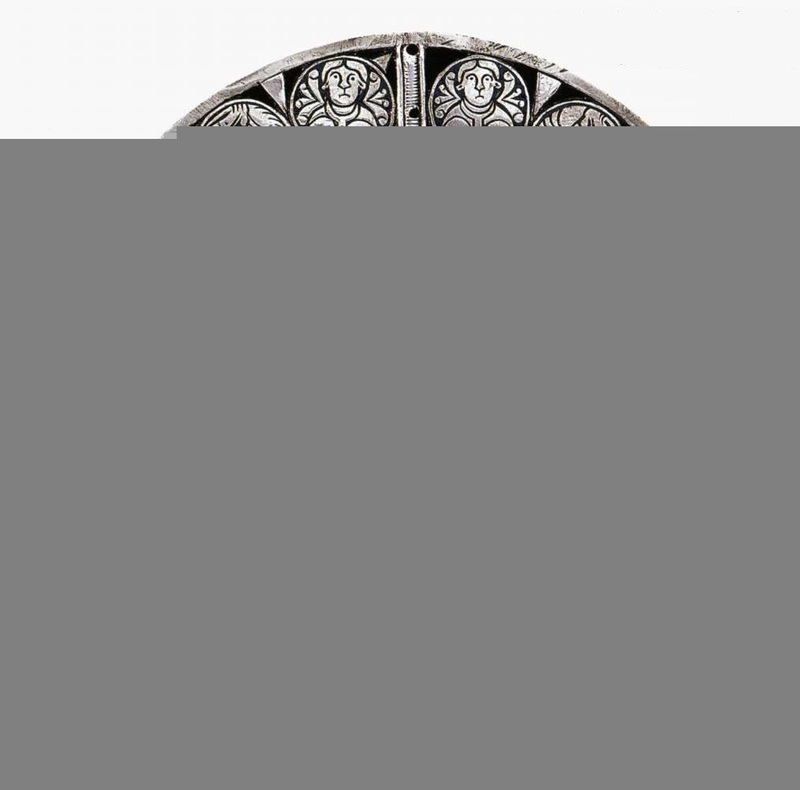 Far from being a forgery, the brooch may even have been made in the court workshops of King Alfred the Great (died AD 899). Anglo-Saxon, from England, late IX century AD. Gift of Captain A.W.F. Fuller.